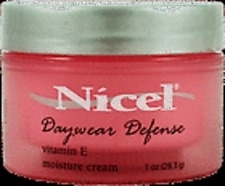 Nicel Day Wear Defense Cream. 2 oz. Nourishes skin with Vitamin E and Protects Skin fro mDaily Irritants and Stress.